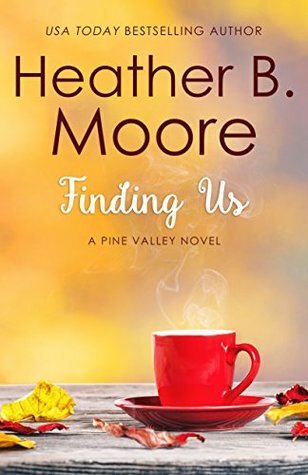 Finding Us (2018) by Heather B. Moore is the fifth book in her Pine Valley series. This book comes in all forms including eBook, and is 257 pages in length. With a full-time job and a busy six-year old, this book took me two days to read. I received a copy of this novel in eBook form from Mirror Press Publishing via Kathy at Clean Wholesome Romance/ I Am a Reader. In no way has this influenced my opinion of the story. All opinions expressed in this review are my own. I give Finding Us 5 STARS. This book is a Contemporary Clean Romance. I absolutely adore the Pine Valley series! Heather Moore has penned fabulous and lovely clean romances. With each new story I think, “This one’s my new favorite, nothing can top this book!” But I have to be honest and say that Finding Us is definitely my new favorite novel by Heather Moore. I thoroughly enjoyed the engaging plot line, and I found Felicity and Leo to be the perfect couple. I am very sad that my time with this book is over … for now. Finding Us is definitely being added to my re-read pile! Finding Us addresses many topics over the course of the story line. The topic that resonates the most with me is the idea of the strength we lend to our significant others. Felicity, our heroine, has never been in a relationship longer than six days. Things just always seem to fade so quickly. This leads Felicity to believe that perhaps she is broken. Add to this that Felicity does “alone” really well — being single is her comfort zone — and she is positive that she is meant to be single for the rest of her life. But then Felicity meets Officer Leo Russo and her life is forever changed. Leo is an exceptional hero. He is compassionate, caring, and observant. Leo pays attention to details. Being around Leo allows Felicity the opportunity to understand what it means to be a partner, and what she realizes is that being a partner means being there for your significant other during the good times, the bad times, and the in-between times. It means you become your partner’s rock. But it also means that your partner becomes your rock, too! Is Felicity really able to be someone’s strong shoulder? Over the course of the story, Felicity realizes that Leo is a rock to a lot of people. He’s there for his mother as she is caring for his very sick father. He is a role model and guide to his cousin Angelo who is going through a rough patch and may be walking down the wrong path. Leo is also an outstanding member of his town’s local police enforcement and works hard to make a difference in his community every day. And, as their relationship blossoms, Felicity sees that Leo is a huge support to her as she goes through some heavy family drama. Felicity begins to wonder who is Leo’s rock? Who does he have for support as he supports so many? I actually found Felicity’s question to be one I need to consider myself. My husband is the best husband ever. I know with 1000% certainty that God put Robert into my life to be my strong support. I can count on my husband for pretty much anything, and so can his fellow co-workers, friends, and extended family. My husband has a big heart for serving others. He would gladly give the shirt off his back if he knew it could make someone’s life better. If I am honest with myself, I know that I need to pick up my game and support him more. It is easy to take for granted just how much my husband does for me. I need to be a better rock for my husband, and I am really glad I read this book for this reminder. Finding Us is the perfect clean romance. I found myself rooting for Felicity and Leo from page 1. This lighthearted, sweet romance had me smiling the entire time. And the kisses are extraordinary! They definitely had me swooning a bit. 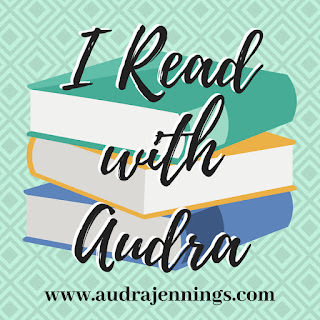 If you are looking for a clean-read romance with a highly engaging and fast paced plot line, well written and endearing characters, and a romance that will leave you satisfied, then Finding Us is definitely the book for you! Pick up a copy today. You will not be disappointed. Wonderful review!! You know me, I’m more likely to pick up a historical than a contemporary, but this one sounds like one that I’d enjoy. I’m going to have to add it to my TBR! Thanks Trisha! I know your go-to is historical, but I think you would like this one. The main character works in a bookstore!! !